This was actually Jesus's favorite beer. Founded in 620 AD, (you know it's old when you have to note AD) this is the oldest brewery in the world, though documentation only proves it to be in existence since 768 AD. 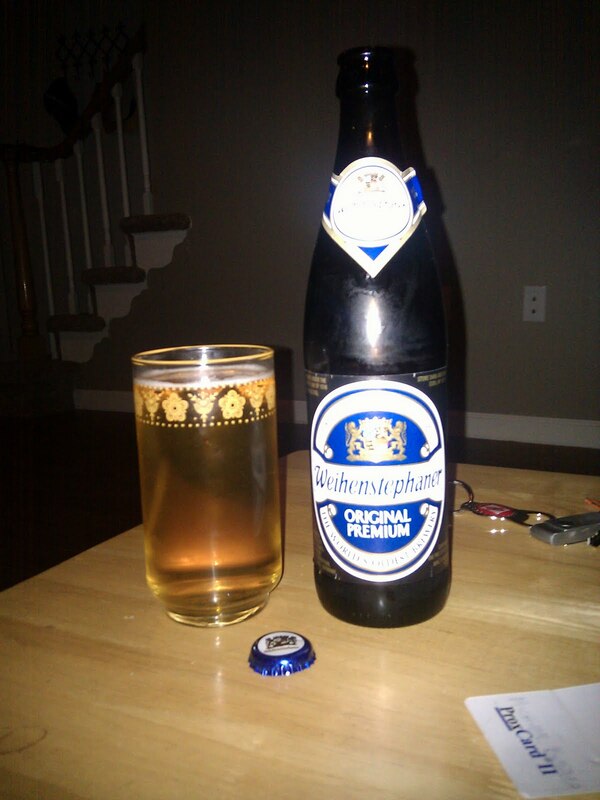 This pup is a 5.1% ABV and is actually one of the best tasting lagers I've ever had. Really smooth and great tasting; I mean there isn't a bitter taste going down your throat. It's like if God melted his golden Pegasus Unicorn down to it's hooves and took it's melted remains into his Holy Grail for Indiana Jones to find years later with Sean Connery and Gimli from Lord of the Rings. Well, maybe not that good, but it's truly a fantastic lager! I bought this because it was only $3 for 500mL and it said it was the world's oldest brewery (still in existence). Now there's nothing too fancy about a lager but if you want a crisp, refreshing taste of Bavaria, I'd definitely suggest this. Good stuff!